The program is open to all residents that want to ensure the safety of their neighbourhoods by volunteering to clear fire hydrants. This will help firefighters quickly find and use hydrants in an emergency. The Town has approximately 50 hydrants to be cleared. 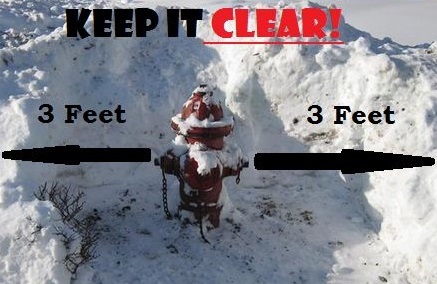 You can participate by clearing a 3 foot area around your adopted hydrant after each snowfall and/or when it is heavily covered in snow and clear a path to the street from the hydrant. When you have done this, you can email the Town at roddickton@nf.aibn.com or call 457-2413. You can enter your name as many times as you choose to clear a fire hydrant. At the end of the season, names will be entered for the chance to win 1 of 2 – $ 25 gift cards plus a Town of Roddickton-Bide Arm mug.